One plastic-free nail brush for kids. With an animal character design makes for a fun addition to bath time! Animal character chosen at random. 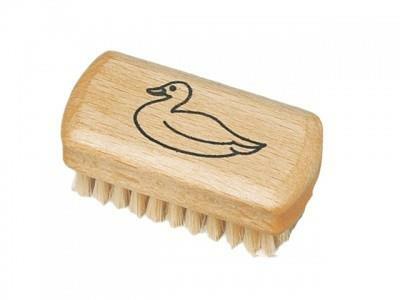 A children's small natural nail brush. One plastic-free nail brush for kids. With an animal character design makes for a fun addition to bath time! Animal character chosen at random. Made from locally grown beech wood. The beech wood is FSC certified in accordance with the strict guidelines of the Forest Stewardship Council.